Let me sing and die! On route to our annual pilgrimage to Dhaka, Athens and Istanbul are convenient, restful staging grounds because of their location at a halfway point and good air connections. During the days of horses and horse-drawn carriages, journey to Bengal across many turbulent and large rivers was problematic. These and the formidable kingdoms in Bengal with large armies and thousands of war elephants must have dissuaded the armies of Alexander the Great and the Persian and Ottoman emperors from venturing eastwards to Bengal. We have no such concern in the modern jet-age and having visited Istanbul last year, we chose to stop in Athens for a few days this winter. With an artist nephew of ours who is married to a charming Greek graduate in music living for many years in Athens, this ancient and beautiful city on the Mediterranean naturally had a special attraction for us. It has a mild, sunny climate and even at the end of January and in early February, the temperature in the day was about 55 degrees and at night 45 degrees Fahrenheit. In classical mythology, the 3400 year old city's name was settled by competition between two gods, Athena, the goddess of wisdom and courage and Poseidon, the god of the sea. In front of witnesses they were to perform miraculous feats. Poseidon hit the ground with his Trident and a gush of water came out from a spring. The water was however salty like sea water. Athena, in her turn planted a seed in the ground and an olive tree came out. Olive, which had multiple benefits, was considered more valuable and even today, the city and its outlying areas are full of good-looking silvery olive orchards. The Greeks love olive oil and use it in all sorts of meals from meat and fish dishes, salads to desserts, not to speak of devouring delicious bread with olive oil. The city was therefore named after Athena, which in modern times came to be known as Athens. On our first outing in Athens, accompanied by our little Greek family we drove about fifty miles south-east of Athens to Cape Sounion and the port of Lavrio. It is a popular site for visits by tourists from Athens and even though we did not stay there until the evening, we heard about the wonderful spectacle of sunset over the Aegean Sea as viewed from the ruins. Cape Sounion is the place from where the King of Athens- Aegeous, hearing of the false news of his son's death jumped to death in the sea. This gave the sea its name- Aegean Sea. During ancient times, Lavrio was a busy port and many Greek ships sailed out from there. Sailors would offer tributes to Poseidon in the nearby Temple at Cape Sounion, hoping his blessings would bring them safely back from perilous sea journeys. This reminded me of our philosophy professor in logic class in Dhaka College in 1948-49 telling us of the story of the priest who encouraged generous offerings to the gods from the sailors showing them the statues or paintings of many sailors who did just that and returned safely. It was quite an effective ploy until one day one of the sailors asked the priest the inconvenient question about where the paintings were of those sailors who gave tributes but never returned. Could this story be actually of the Poseidon priest? On a windy cold day, from the glass covered tavern at the foot of the hill sipping hot café-latte, we saw the remains of the temple of Poseidon built in 440 BC on a rugged and steep hill overlooking the sea. Unfortunately, only eighteen of the large white pillars of the temple have survived the onslaughts of time and weather. At the base of one of the columns is curved the name of Lord Byron, the English romantic poet. He had visited the Temple at least twice during his tour of Athens in 1810-11 and composed the poem Don Juan from which the above quote has been given. While driving south, we travelled over part of the Marathon Avenue, the route followed in olden days by the runners. That history is everywhere in Greece was confirmed when the digging for widening of that road struck ancient stones and the project is now held up by people who do not wish to disturb the antiquities. The first modern Olympics were held in Athens in 1896. We saw the Acropolis and Parthenon, a UNESCO World Heritage site, from the base of the hill, as unlike our Athens visit more than three decades ago, my wife and I were in no position now to climb so high. 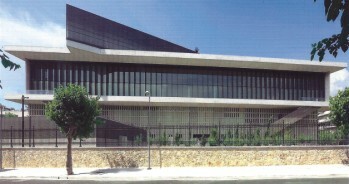 A modern Museum of Acropolis with twenty-first century architecture has been recently opened right on the top of ruins of the ancient urban sites surrounding Acropolis. Through the glass floor of the Museum it is scary to look down to great depths- one can see the old stones and the continuing excavation works. Also, during a long walk through narrow stony lanes in the area near Acropolis we saw Hadrian's Library, a Roman Agora and other ruins, the first Athens university of the independent Greek state after independence from Turkish occupation in 1830. The nearby Plaka and the flea market at Monastiraki had rows of unique but reasonably priced shops full of handicrafts, souvenirs and other locally made items. We visited the National Archeological Museum, which happened to be across the street from our hotel. The Museum had no statue which was less than 2500 years old. There were many fine figures of men with strong and athletic features who were called the Kouros. The Greeks knew how to balance the statues on a self-standing basis i.e. without any supporting pedestal. The Romans who later conquered Greece borrowed the free standing technology for their marble statues. Our nephew took us in his SUV on a tour of the city centre with its wide avenues and fine buildings like the National Library and the University, Greek Parliament building, the Academy, and opera house. We saw the Syntagma and Omonia Squares and the Akadimias Avenue. Visiting Corinth, the ancient capital of Greece, was a unique experience. It is located about 45 miles to the south of Athens. 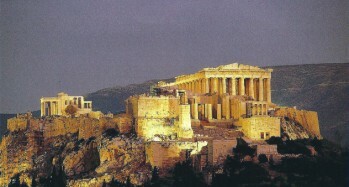 The city flourished as a major Greek commercial and cultural centre from the 8th century BC. We marvelled at the remains of the mostly Roman era buildings, swimming pools, granary, meeting and market places and wide, straight roads which are two thousand years old. 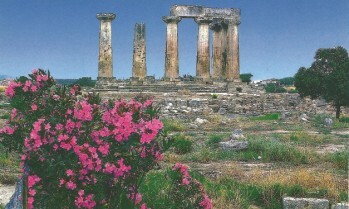 The most notable ruin is the 6th century BC Temple of Apollo built on a hill. The city was destroyed by the Romans in 146 BC but was resettled by Julius Caesar in 44 BC. On our way to Corinth we visited Loutraki, a popular sea-side town and had coffee in a see-through covered tent right on the beach. We then drove over a bridge on the Corinth Canal. 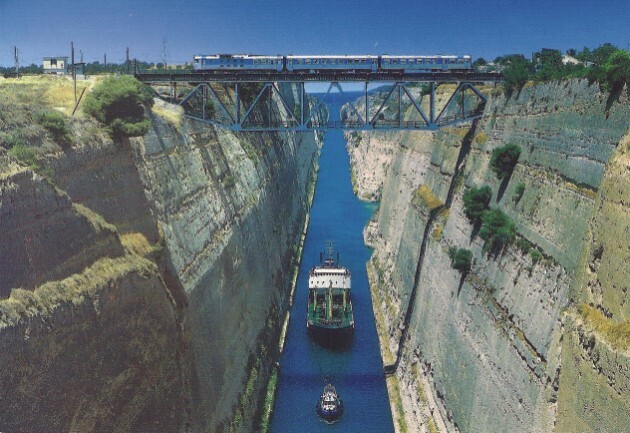 The canal, about 4 miles long, opened in 1893 connecting the Ionian and the Aegean Seas. The companies involved in digging the Suez and the Panama Canals were also associated with the Corinth Canal. The scenic beauty and the smooth roads south of Athens were a real pleasure. Eucalyptus trees, olive and pistachio orchards, orange and mandarin trees were everywhere and a variety of flowering trees including Daphne as we went through the countryside. Trees with oranges hanging amidst deep green leaves adorned the street sides both in Athens and elsewhere- a beautiful sight indeed. These oranges, however, are not edible as they are very sour. Our nephew's mother-in-law, Roula- a very warm and vibrant lady, invited us to a typical home-cooked Greek dinner at her apartment. Next afternoon, we had a farewell lunch at a beachside restaurant, known for its lamb chops and halvas a dessert served on the house. Back in Bangladesh, it would be called Sujir halwa, a somewhat tastier variety often served hot and cooked with bay leaves and raisins in the pan with ghee until it turns into a lustrous brownish hue. By the way, perhaps because of its mushy soft character, in Greece naïve persons of low intelligence are jokingly called halvas. In better weather, one should visit the Greek islands. There are 227 inhabited islands but only 78 of these have a population of more than 100.They are historic and beautiful. In one of the nearby islands, there is an Army Club to which we were invited by retired Brigadier George, our nephew's father-in-law. Because of our short visit and inhospitable sea and weather, we took a rain check for another occasion. There is also a Greek Islands' tour by large cruise ships, which we hope to take one day. Greece is going through an economic recession, budgetary deficits and high unemployment. During our short visit, we witnessed demonstrations by various transport workers and even the lawyers rode through the streets in their motorcycles in support of their own demands. These created occasional traffic jams and we had to circumvent the problem by taking detours. It was all quite peaceful though and we found the Greeks generally relaxed, pleasant, polite and easy going. The combination of the blue Mediterranean, stony mountains, bountiful nature with fruits, vegetables and flowers and so much of glorious history provides one an ambience of peace, perspective and contentment. It is with that reflection that we left Athens, carrying in our mind beautiful scenic images and thoughts of a country considered the cradle of the Western civilisation and birthplace of democracy and the Olympics.